In the manga Death Note, the protagonist Light Yagami is given the supernatural weapon “Death Note” which can kill anyone on demand, and begins using it to reshape the world. The genius detective L attempts to track him down with analysis and trickery, and ultimately succeeds. Death Note is almost a thought-experiment-given the perfect murder weapon, how can you screw up anyway? I consider the various steps of L’s process from the perspective of computer security, cryptography, and information theory, to quantify Light’s initial anonymity and how L gradually de-anonymizes him, and consider which mistake was the largest. Mistake 3: Light’s third mistake was reacting to the blatant provocation of Lind L. Tailor. L narrowed his target down to 1/3 the original Japanese population, for a gain of ~1.6 bits. Mistake 4: Light’s fourth mistake was to use confidential police information stolen using his policeman father’s credentials. This mistake was the largest in bits lost. This mistake cost him 11 bits of anonymity; in other words, this mistake cost him twice what his scheduling cost him and almost 8 times the murder of Tailor! Mistake 5: If we assume Penbar was tasked 200 leads out of the 10,000, then murdering him and the fiancee dropped Light just 6 bits or a little over half the fourth mistake and comparable to the original scheduling mistake. Endgame: At this point in the plot, L resorts to direct measures and enters Light’s life directly, enrolling at the university. From this point on, Light is screwed as he is now playing a deadly game of Mafia with L & the investigative team. He frittered away >25 bits of anonymity and then L intuited the rest and suspected him all along. Finally, I suggest how Light could most effectively employed the Death Note and limited his loss of anonymity. In an appendix, I discuss the maximum amount of information leakage possible from using a Death Note as a communication device. I have called the protagonist of Death Note, Light Yagami, “hubristic” and said he made big mistakes. So I ought to explain what he did wrong and how he could do better. While Light starts scheming and taking serious risks as early as the arrival of the FBI team in Japan, he has fundamentally already screwed up. L should never have gotten that close to Light. The Death Note kills flawlessly without forensic trace and over arbitrary distances; Death Note is almost a thought-experiment—given the perfect murder weapon, how can you screw up anyway? Some of the other Death Note users highlight the problem. The user in the Yotsuba Group carries out the normal executions, but also kills a number of prominent competitors. The killings directly point to the Yotsuba Group and eventually the user’s death. The moral of the story is that indirect relationships can be fatal in narrowing down the possibilities from ‘everyone’ to ‘these 8 men’. In Light’s case, L starts with the world’s entire population of 7 billion people and needs to narrow it down to 1 person. It’s a search problem. It maps fairly directly onto basic information theory, in fact. (See also Simulation inferences, The 3 Grenades, and for case studies in applied deanonymization, Tor DNM-related arrests, 2011-2015.) 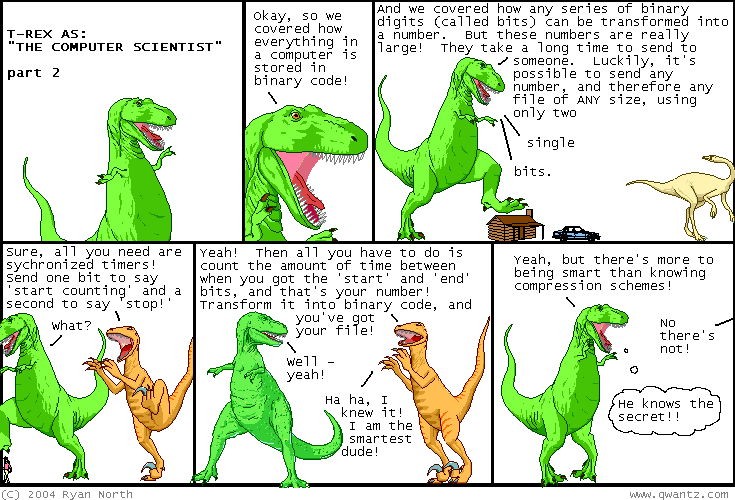 To uniquely specify one item out of 7 billion, you need 33 bits of information because log2(7000000000)≈32.7; to use an analogy, your 32-bit computer can only address one unique location in memory out of 4 billion locations, and adding another bit doubles the capacity to >8 billion. Is 33 bits of information a lot? Not really. L could get one bit just by looking at history or crime statistics, and noting that mass murderers are, to an astonishing degree, male1, thereby ruling out half the world population and actually starting L off with a requirement to obtain only 32 bits to break Light’s anonymity.2 If Death Note users were sufficiently rational & knowledgeable, they could draw on concepts like superrationality to acausally cooperate3 to avoid this information leakage… by arranging to pass on Death Notes to females4 to restore a 50:50 gender ratio—for example, if for every female who obtained a Death note there were 3 males with Death Notes, then all users could roll a 1d3 dice and if 1 keep it and if 2 or 3 pass it on to someone of the opposite gender. We should first point out that Light is always going to leak some bits. The only way he could remain perfectly hidden is to not use the Death Note at all. If you change the world in even the slightest way, then you have leaked information about yourself in principle. Everything is connected in some sense; you cannot magically wave away the existence of fire without creating a cascade of consequences that result in every living thing dying. For example, the fundamental point of Light executing criminals is to shorten their lifespan—there’s no way to hide that. You can’t both shorten their lives and not shorten their lives. He is going to reveal himself this way, at the least, to the actuaries and statisticians. More historically, this has been a challenge for cryptographers, like in WWII: how did they exploit the Enigma & other communications without revealing they had done so? Their solution was misdirection: constantly arranging for plausible alternatives, like search planes that “just happened” to find a German ship or submarine. (However, the famous story that Winston Churchill allowed the town of Coventry to be bombed rather than risk the secret of Ultra has since been put into question.) It’s not clear to me what would be the best misdirection for Light to mask his normal killings—use the Death Note’s control features to invent a anti-criminal terrorist organization? So there is a real challenge here: one party is trying to infer as much as possible from observed effects, and the other is trying to minimize how much the former can observe while not stopping entirely. How well does Light balance the competing demands? However, he can try to reduce the leakage and make his anonymity set as large as possible. For example, killing every criminal with a heart attack is a dead give-away. Criminals do not die of heart attacks that often. (The point is more dramatic if you replace ‘heart attack’ with ‘lupus’; as we all know, in real life it’s never lupus.) Heart attacks are a subset of all deaths, and by restricting himself, Light makes it easier to detect his activities. 1000 deaths of lupus are a blaring red alarm; 1000 deaths of heart attacks are an oddity; and 1000 deaths distributed over the statistically likely suspects of cancer and heart disease etc. are almost invisible (but still noticeable in principle). So, Light’s fundamental mistake is to kill in ways unrelated to his goal. Killing through heart attacks does not just make him visible early on, but the deaths reveals that his assassination method is supernaturally precise. L has been tipped off that Kira exists. Whatever the bogus justification may be, this is a major victory for his opponents. First mistake, and a classic one of serial killers (eg the BTK killer’s vaunting was less anonymous than he believed): delusions of grandeur and the desire to taunt, play with, and control their victims and demonstrate their power over the general population. From a literary perspective, this similarity is clearly not an accident, as we are meant to read Light as the Sociopath Hero archetype: his ultimate downfall is the consequence of his fatal personality flaw, hubris, particularly in the original sadistic sense. Light cannot help but self-sabotage like this. Worse, the deaths are non-random in other ways—they tend to occur at particular times! Graphed, daily patterns jump out. L was able to narrow down the active times of the presumable student or worker to a particular range of longitude, say 125-150° out of 180°; and what country is most prominent in that range? Japan. So that cut down the 7 billion people to around 0.128 billion; 0.128 billion requires 27 bits (log2(128000000)≈26.93) so just the scheduling of deaths cost Light 6 bits of anonymity! The researchers generalized their Netflix work to find isomorphisms between arbitrary graphs12 (such as social networks stripped of any and all data except for the graph structure), for example Flickr and Twitter, and give many examples of public datasets that could be de-anonymized13—such as your Amazon purchases (Calandrino et al 2011; blog). These attacks are on just the data that is left after attempts to anonymize data; they don’t exploit the observation that the choice of what data to remove is as interesting as what is left, what Julian Sanchez calls “The Redactor’s Dilemma” . the unnoticeable background electrical hum may uniquely date audio recordings. Unnoticeable sounds can also be used to persistently track devices/people, exfiltrate information across air gaps, and can be used to monitor room presence/activity, and even monitor finger movements or tapping noises to help break passphrases. you may have heard of laser microphones for eavesdropping… but what about eavesdropping via video recording of potato chip bags or candy wrappers? (press release), or cellphone gyroscopes? …quite possibly Light’s biggest mistake was inadvertently revealing his connection to the police hierarchy by hacking his dad’s computer. Whereas even the Lind L. Taylor debacle only revealed his killing mechanics and narrowed him down to “someone in the Kanto region” (which is, while an impressive accomplishment based on the information he had, entirely meaningless for actually finding a suspect), there were perhaps a few hundred people who had access to the information Light’s dad had. There’s also the fact that L knew that Light was probably someone in their late teens, meaning that there was an extremely high chance that at the end of the school year, even that coup of his would expire, thanks to students heading off to university all over Japan (of course, Light went to Toudai, and a student of his caliber not attending such a university would be suspicious, but L had no way of knowing that then). I mean, perhaps L had hoped that Kira would reveal himself by suddenly moving away from the Kanto region, but come the next May, he would have no way of monitoring unusual movements among late teenagers, because a large percentage of them would be moving for legitimate reasons. This mistake also shows us that the important thing that information theory buys us, really, is not the bit (we could be using log10 rather than log2, and compares “dits” rather than “bits”) so much as comparing events in the plot on a logarithmic scale. If we simply looked at how the absolute number of how many people were ruled out at each step, we’d conclude that the first mistake by Light was a debacle without compare since it let L rule out >6 billion people, approximately 60x more people than all the other mistakes put together would let L rule out. Mistakes are relative to each other, not absolutes. Light’s fourth mistake was to use confidential police information stolen using his policeman father’s credentials. This mistake was the largest in bits lost. But interestingly, many or even most Death Note fans do not seem to regard this as his largest mistake, instead pointing to his killing Lind L. Tailor or perhaps relying too much on Mikami. The information theoretical perspective strongly disagrees, and lets us quantify how large this mistake was. When he acts on the secret police information, he instantly cuts down his possible identity to one out of a few thousand people connected to the police. Let’s be generous and say 10,000. It takes 14 bits to specify 1 person out of 10,000 (log2(10000)≈13.29)—as compared to the 24-25 bits to specify a Kanto dweller. This mistake cost him 11 bits of anonymity; in other words, this mistake cost him twice what his scheduling cost him and almost 8 times the murder of Tailor! In comparison, the fifth mistake, murdering Ray Penbar’s fiancee and focusing L’s suspicion on Penbar’s assigned targets was positively cheap. If we assume Penbar was tasked 200 leads out of the 10,000, then murdering him and the fiancee dropped Light from 14 bits to 8 bits (log2(200)≈7.64) or just 6 bits or a little over half the fourth mistake and comparable to the original scheduling mistake. What should Light have done? That’s easy to answer, but tricky to implement. …one additional way to gain more anonymity is through deliberate disinformation. For instance, suppose that one reveals 100 independent bits of information about oneself. Ordinarily, this would cost 100 bits of anonymity (assuming that each bit was a priori equally likely to be true or false), by cutting the number of possibilities down by a factor of 2100; but if 5 of these 100 bits (chosen randomly and not revealed in advance) are deliberately falsified, then the number of possibilities increases again by a factor of (100 choose 5) ~ 226, recovering about 26 bits of anonymity. In practice one gains even more anonymity than this, because to dispel the disinformation one needs to solve a satisfiability problem, which can be notoriously intractable computationally, although this additional protection may dissipate with time as algorithms improve (e.g. by incorporating ideas from compressed sensing). The difficulty with suggesting that Light should—or could—have used disinformation on the timing of deaths is that we are, in effect, engaging in a sort of hindsight bias. How exactly is Light or anyone supposed to know that L could deduce his timezone from his killings? I mentioned an example of using Wikipedia edits to localize editors, but that technique was (as far as I know) unique to me and no doubt there are many other forms of information leakage I have never heard of despite compiling a list; if I were Light, even if I remembered my Wikipedia technique, I might not bother evenly distributing my killing over the clock or adopting a deceptive pattern (eg suggesting I was in Europe rather than Japan). If Light had known he was leaking timing information but didn’t know that someone out there was clever enough to use it (a “known unknown” ), then we might blame him; but how is Light supposed to know these “unknown unknowns” ? Randomization is the answer. Randomization and encryption scramble the correlations between input and output, and they would serve as well in Death Note as they do in cryptography & statistics in the real world, at the cost of some efficiency. The point of randomization, both in cryptography and in statistical experiments, is to not just prevent the leaked information or confounders (respectively) you do know about but also the ones you do not yet know about. To steal & paraphrase an example from Jim Manzi’s Uncontrolled: you’re running a weight-loss experiment. You know that the effectiveness might vary with each subject’s pre-existing weight, but you don’t believe in randomization (you’re a practical man! only prissy statisticians worry about randomization! ); so you split the subjects by weight, and for convenience you allocate them by when they show up to your experiment—in the end, there are exactly 10 experimental subjects over 150 pounds and 10 controls over 150 pounds, and so on and so forth. Unfortunately, it turns out that unbeknownst to you, a genetic variant controls weight gain and a whole extended family showed up at your experiment early on and they all got allocated to ‘experimental’ and none of them to ‘control’ (since you didn’t need to randomize, right? you were making sure the groups were matched on weight!). Your experiment is now bogus and misleading. Of course, you could run a second experiment where you make sure the experimental and control groups are matched on weight and also now matched on that genetic variant… but now there’s the potential for some third confounder to hit you. If only you had used randomization—then you would probably have put some of the variants into the other group as well and your results wouldn’t’ve been bogus! So to deal with Light’s first mistake, simply scheduling every death on the hour will not work because the wake-sleep cycle is still present. If he set up a list and wrote down n criminals for each hour to eliminate the peak-troughs rather than randomizing, could that still go wrong? Maybe: we don’t know what information might be left in the data which an L or Turing could decipher. I can speculate about one possibility—the allocation of each kind of criminal to each hour. If one were to draw up lists and go in order (hey, one doesn’t need randomization, right? ), then the order might go ‘criminals in the morning newspaper, criminals on TV, criminals whose details were not immediately given but were available online, criminals from years ago, historical criminals etc’; if the morning-newspaper-criminals start at say 6 AM Japan time… And allocating evenly might be hard, since there’s naturally going to be shortfalls when there just aren’t many criminals that day or the newspapers aren’t publishing (holidays?) etc., so the shortfall periods will pinpoint what the Kira considers ‘end of the day’. A much safer procedure is thorough-going randomization applied to timing, subjects, and manner of death. Even if we assume that Light was bound and determined to reveal the existence of Kira and gain publicity and international notoriety (a major character flaw in its own right; accomplishing things, taking credit—choose one), he still did not have to reduce his anonymity much past 32 bits. Each execution’s time could be determined by a random dice roll (say, a 24-sided dice for hours and a 60-sided dice for minutes). Selecting method of death could be done similarly based on easily researched demographic data, although perhaps irrelevant (serving mostly to conceal that a killing has taken place). Selecting criminals could be based on internationally accessible periodicals that plausibly every human has access to, such as the New York Times, and deaths could be delayed by months or years to broaden the possibilities as to where the Kira learned of the victim (TV? books? the Internet?) and avoiding issues like killing a criminal only publicized on one obscure Japanese public television channel. And so on. Let’s remember that all this is predicated on anonymity, and on Light using low-tech strategies; as one person asked me, “why doesn’t Light set up an cryptographic assassination market or just take over the world? He would win without all this cleverness.” Well, then it would not be Death Note. One might wonder how much information one could send intentionally with a Death Note, as opposed to inadvertently leak bits about one’s identity. As deaths are by and large publicly known information, we’ll assume the sender and recipient have some sort of pre-arranged key or one-time pad (although one would wonder why they’d use such an immoral and clumsy system as opposed to steganography or messages online). The ‘who?’ is already calculated for us: if it takes 33 bits to specify a unique human, then a particular human can convey 33 bits. Concerns about learnability (how would you learn of an Amazon tribesman’s death?) imply that it’s really <33 bits. If you try some scheme to encode more bits into the choice of assassination, you either wind up with 33 bits or you wind up unable to convey certain combinations of bits and effectively 33 bits anyway—your scheme will tell you that to convey your desperately important message X of 50 bits telling all about L’s true identity and how you discovered it, you need to kill an Olafur Jacobs of Tanzania who weighs more than 200 pounds and is from Taiwan, but alas! Jacobs doesn’t exist for you to kill. Earth has ~510,072,000,000 square meters of surface area; most of it is entirely useless from our perspective—if someone is in an airplane and dies, how on earth does one figure out the exact square meter he was above? Or on the oceans? Earth has ~148,940,000,000 square meters of land, which is more usable: the usual calculations gives us log2(148940000000)=37.12 bits. (Surprised at how similar to the ‘who?’ bit calculation this is? But 37.12−33=4.12 and 24.12=17.4. The old SF classic Stand on Zanzibar drew its name from the observation that the 7 billion people alive in 2010 would fit in Zanzibar only if they stood shoulder to shoulder—spread them out, and multiply that area by ~18…) This raises an issue that affects all 3: how much can the Death Note control? Can it move victims to arbitrary points in, say, Siberia? Or is it limited to within driving distance? etc. Any of those issues could shrink the 37 bits by a great deal. The International Classification of Diseases lists upwards of 20,000 diseases, and we can imagine thousands of possible accidental or deliberate deaths. But what matters is what gets communicated: if there are 500 distinct brain cancers but the death is only reported as ‘brain cancer’, the 500 count as 1 for our purposes. But we’ll be generous and go with 20,000 for reported diseases plus accidents, which is log2(20000)=14.3 bits. Actions prior to death overlaps with accidental causes; here the series doesn’t help us. Light’s early experiments culminating in the “L, do you know death gods love apples?” seem to imply that actions are limited in entropy as each word took a death (assuming the ordinary English vocabulary of 50,000 words, 16 bits), but other plot events imply that humans can undertake long complex plans at the order of Death Notes (like Mikami bringing the fake Death Note to the final confrontation with Near). Actions before death could be reported in great detail, or they could be hidden under official secrecy like the aforementioned death gods mentioned (Light uniquely privileged in learning it succeeded as part of L testing him). I can’t begin to guess how many distinct narratives would survive transmission or what limits the Note would set. We must leave this one undefined: it’s almost surely more than 10 bits, but how many? Summing, we get <33+<19+17+<37+14+?=120? bits per death. E.T. Jaynes in his posthumous Probability Theory: The Logic of Science (on Bayesian statistics) includes a chapter 5 on “Queer Uses For Probability Theory” , discussing such topics as ESP; miracles; heuristics & biases; how visual perception is theory-laden; philosophy of science with regard to Newtonian mechanics and the famed discovery of Neptune; horse-racing & weather forecasting; and finally—section 5.8, “Bayesian jurisprudence” . Jaynes’s analysis is somewhat similar in spirit to my above analysis, although mine is not explicitly Bayesian except perhaps in the discussion of gender as eliminating one necessary bit. The following is an excerpt; see also “Bayesian Justice” . It is interesting to apply probability theory in various situations in which we can’t always reduce it to numbers very well, but still it shows automatically what kind of information would be relevant to help us do plausible reasoning. Suppose someone in New York City has committed a murder, and you don’t know at first who it is, but you know that there are 10 million people in New York City. On the basis of no knowledge but this, e(Guilty|X)=−70db is the plausibility that any particular person is the guilty one. How much positive evidence for guilt is necessary before we decide that some man should be put away? Perhaps +40 db, although your reaction may be that this is not safe enough, and the number ought to be higher. If we raise this number we give increased protection to the innocent, but at the cost of making it more difficult to convict the guilty; and at some point the interests of society as a whole cannot be ignored. For example, if 1000 guilty men are set free, we know from only too much experience that 200 or 300 of them will proceed immediately to inflict still more crimes upon society, and their escaping justice will encourage 100 more to take up crime. So it is clear that the damage to society as a whole caused by allowing 1000 guilty men to go free, is far greater than that caused by falsely convicting one innocent man. If you have an emotional reaction against this statement, I ask you to think: if you were a judge, would you rather face one man whom you had convicted falsely; or 100 victims of crimes that you could have prevented? Setting the threshold at +40 db will mean, crudely, that on the average not more than one conviction in 10,000 will be in error; a judge who required juries to follow this rule would probably not make one false conviction in a working lifetime on the bench. since P(Motive|Guilty)≃1, i.e. we consider it quite unlikely that the crime had no motive at all. Thus, the [importance] of learning that the person had a motive depends almost entirely on the probability P(Motive|Not Guilty) that an innocent person would also have a motive. This evidently agrees with our common sense, if we ponder it for a moment. If the deceased were kind and loved by all, hardly anyone would have a motive to do him in. Learning that, nevertheless, our suspect did have a motive, would then be very [important] information. If the victim had been an unsavory character, who took great delight in all sorts of foul deeds, then a great many people would have a motive, and learning that our suspect was one of them is not so [important]. The point of this is that we don’t know what to make of the information that our suspect had a motive, unless we also know something about the character of the deceased. But how many members of juries would realize that, unless it was pointed out to them? You see that the population of New York has canceled out of the equation; as soon as we know the number of people who had a motive, then it doesn’t matter any more how large the city was. Note that (5-39) continues to say the right thing even when Nm is only 1 or 2. In recent years there has grown up a considerable literature on Bayesian jurisprudence; for a review with many references, see Vignaux and Robertson (1996) [This is apparently Interpreting Evidence: Evaluating Forensic Science in the Courtroom –Editor]. Even in situations where we would be quite unable to say that numerical values should be used, Bayes’ theorem still reproduces qualitatively just what your common sense (after perhaps some meditation) tells you. This is the fact that George Polya demonstrated in such o exhaustive detail that the present writer was convinced that the connection must be more than qualitative. [we] develop a new re-identification algorithm targeting anonymized social-network graphs. To demonstrate its effectiveness on real-world networks, we show that a third of the users who can be verified to have accounts on both Twitter, a popular microblogging service, and Flickr, an online photo-sharing site, can be re-identified in the anonymous Twitter graph with only a 12% error rate. Our de-anonymization algorithm is based purely on the network topology, does not require creation of a large number of dummy “sybil” nodes, is robust to noise and all existing defenses, and works even when the overlap between the target network and the adversary’s auxiliary information is small. If bubble marking patterns were completely random, a classifier could do no better than randomly guessing a test set’s creator, with an expected accuracy of 1/92 ≈ 1%. Our classifier achieves over 51% accuracy. The classifier is rarely far off: the correct answer falls in the classifier’s top three guesses 75% of the time (vs. 3% for random guessing) and its top ten guesses more than 92% of the time (vs. 11% for random guessing). We do not believe that there exists a technical solution to the problem of anonymity in social networks. Specifically, we do not believe that any graph transformation can (a) satisfy a robust definition of privacy, (b) withstand de-anonymization attacks described in our paper, and (c) preserve the utility of the graph for common data-mining and advertising purposes. Therefore, we advocate non-technical solutions. …researchers don’t have the incentive for deanonymization anymore. On the other hand, if malicious entities do it, naturally they won’t talk about it in public, so there will be no PR fallout. Regulators have not been very aggressive in investigating anonymized data releases in the absence of a public outcry, so that may be a negligible risk. Some have questioned whether deanonymization in the wild is actually happening. I think it’s a bit silly to assume that it isn’t, given the economic incentives. Of course, I can’t prove this and probably never can. No company doing it will publicly talk about it, and the privacy harms are so indirect that tying them to a specific data release is next to impossible. I can only offer anecdotes to explain my position: I have been approached multiple times by organizations who wanted me to deanonymize a database they’d acquired, and I’ve had friends in different industries mention casually that what they do on a daily basis to combine different databases together is essentially deanonymization. ‘Quasi-identifier’ is a notion that arises from attempting to see some attributes (such as ZIP code) but not others (such as tastes and behavior) as contributing to re-identifiability. However, the major lesson from the re-identification papers of the last few years has been that any information at all about a person can be potentially used to aid re-identification. But hey, at least the lack of privacy is two-way and the public can keep an eye on malefactors like the government, as David Brin’s The Transparent Society argues is the best outcome. The only things known to go faster than ordinary light is monarchy, according to the philosopher Ly Tin Weedle. He reasoned like this: you can’t have more than one king, and tradition demands that there is no gap between kings, so when a king dies the succession must therefore pass to the heir instantaneously. Presumably, he said, there must be some elementary particles—kingons, or possibly queons—that do this job, but of course succession sometimes fails if, in mid-flight, they strike an anti-particle, or republicon. His ambitious plans to use his discovery to send messages, involving the careful torturing of a small king in order to modulate the signal, were never fully expanded because, at that point, the bar closed.